A good homemade chocolate pudding recipe is almost impossible to find. The best chocolate pudding is dark, rich, and creamy — just like this easy recipe! 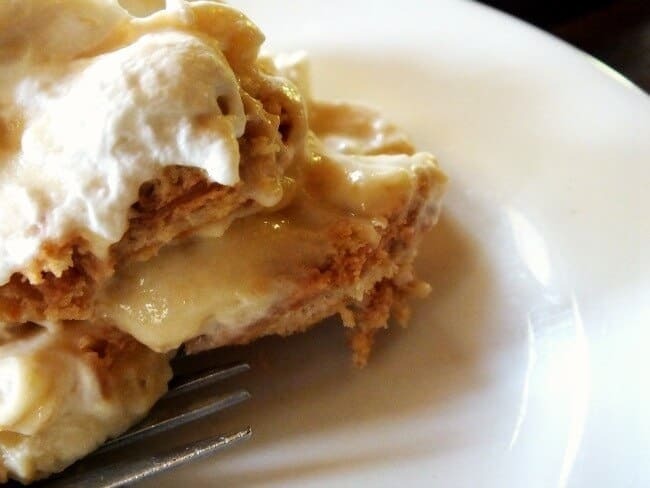 This post was originally published in August 2008 but I’ve updated the recipe a little. I’ve updated images a lot for #Choctoberfest 2016! 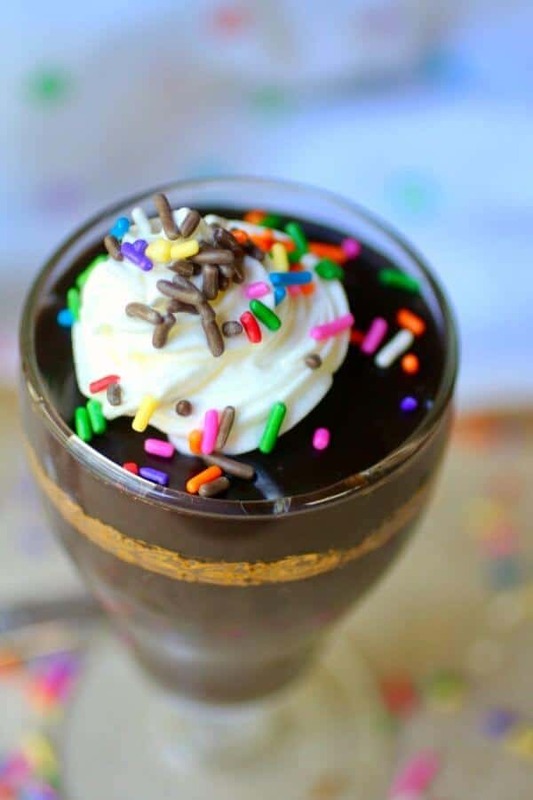 If you are in a hurry click here to go straight to the homemade chocolate pudding recipe. I got tonsilitis a lot as a child and I have always been prone to high fevers. I can still run 105F when I’m sick and it was no fun then and no fun now. My throat would hurt so badly that I didn’t even want to drink water. My mom would make me chocolate pudding in a special parfait glass she had and I would live off of that for days. But only if it was served in that special glass. My parents were firm believers in staying away from non-essential medical interventions. Mom said that tonsils were there for a reason and once I got past this stage I’d be glad I still had them. She was right. I outgrew the tonsilitis stage by third grade and after that I rarely got sick – usually not even a cold. 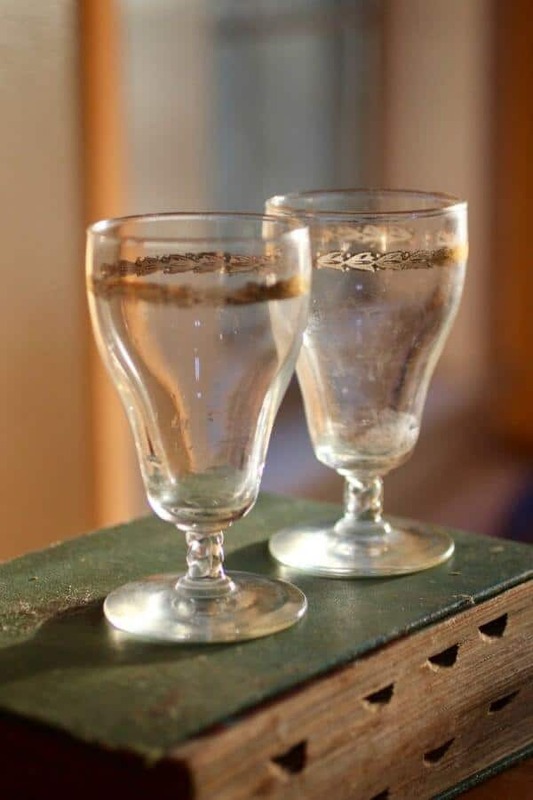 That tonsilitis period in my life left me with a love for those special parfait glasses. I’m happy that both of those special glasses are in my china cabinet. They are a link to my childhood and still very comforting to me. They are rarely used unless I really need some serious comforting. After all, they’re special and I am too afraid that they will get broken. Now you understand why I love chocolate pudding. Chocolate mousse is nice, but for pure comfort food homemade chocolate pudding is right up there on the top of my list. It’s amazing how so many people grab a box of instant when they could so easily have the real thing. 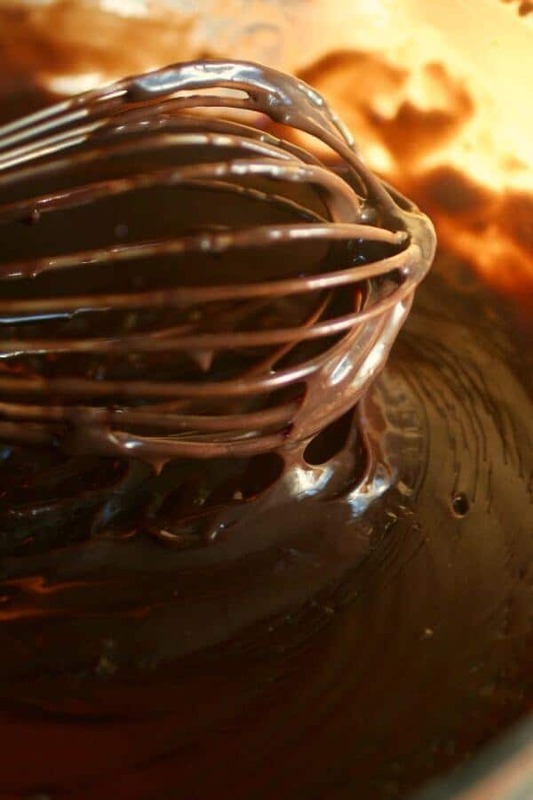 Use this easy chocolate pudding recipe to make your own mix. Double or quadruple the recipe and store it in a Mason jar or other airtight container. Tape the cooking instructions taped to the inside of the lid so they are always available. That way you can have perfect homemade chocolate pudding any time you want! 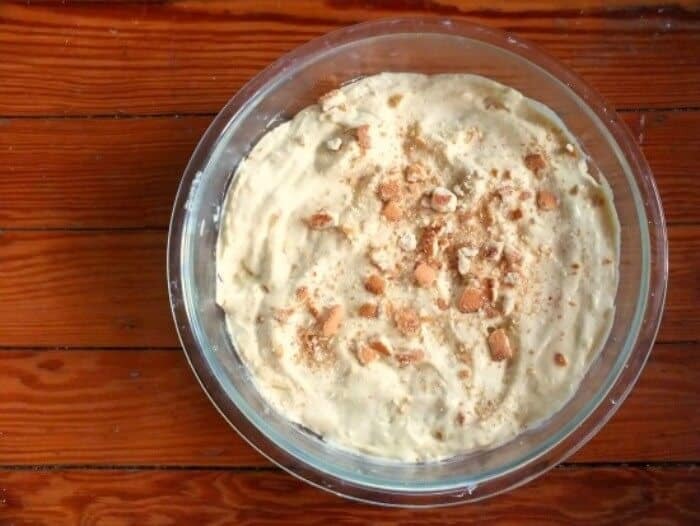 This recipe can be used for pie filling or pudding. If you refrigerate it uncovered it will get that nasty skin on it. My family thinks it is the best part of the pudding. In fact, ::::shudder::: my daughter has been known to pour it in a saucer to cool so that it is mostly……skin. If you don’t want the skin to form butter a piece of wax paper and place it on top of the pudding as it is chilling. Cocoa is an important part of this recipe. Using cocoa rather than chocolate makes it have more flavor and I use the Hershey’s Special Dark Cocoa to keep the chocolate flavor the star. Equally important, a good vanilla enhances that flavor. I like Nielsen- Massey. Here’s that easy chocolate pudding recipe! Remember to enter to win the chocolate prize and to check out more of today’s #choctoberfest recipes in the linkup below. I’ve never made chocolate pudding. Either from scratch or from the box. I’d just always get the lunchbox prepackaged refrigerated puddings. Not that I’ve had one of those in a long time either. Oh wow… well you are in for a treat then! Your special glasses are wonderful – I’m so glad you have them! And this pudding is enough to make anyone feel better at any time 🙂 So rich and love the homemade goodness! Thanks Patricia – I’ve never seen any like them before… I’ve looked on eBay to try to add to the 2 I have but so far no luck! 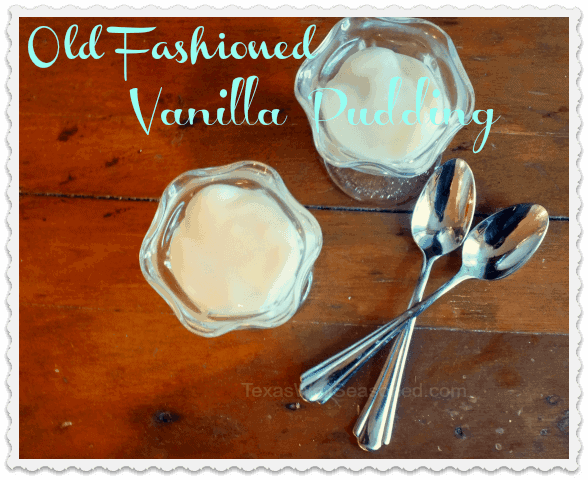 I do love homemade pudding! Great recipe Marye, I love the idea of keeping this on hand as a mix! I am going to do that. Nothing beats homemade chocolate pudding! 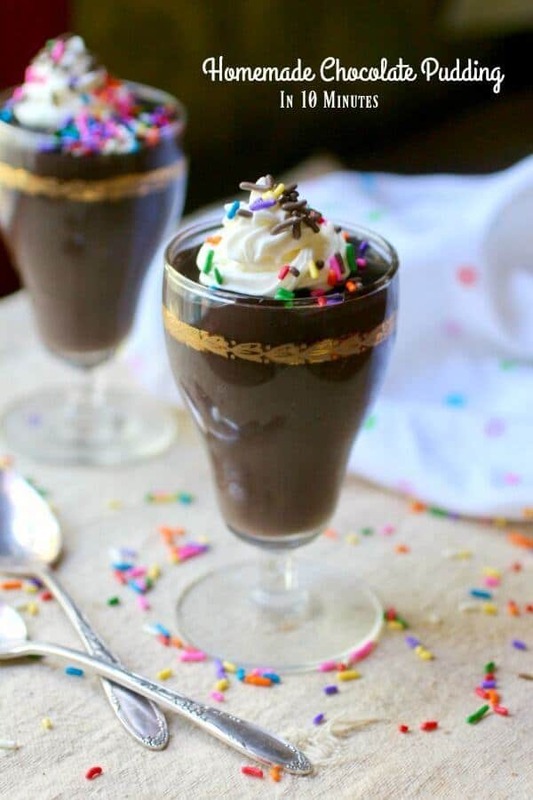 Evidently the hubs was traumatized by some kind of chocolate pudding offering in his school cafeteria growing up; so we don’t often get to make it unless he’s gone on business… But I’m going to save this one for the next time he leaves town, that’s for sure! This cracked me up! My Dad was like that.. he loved chocolate… cake, ice cream, candy… but not pudding or pie.